Roggio toured the Ballast Point Brewery on the campers’ free day. San Diego State University’s second annual Craft Beer Education Camp, held this past summer at SDSU and several local breweries, once again attracted campers from all over the world. 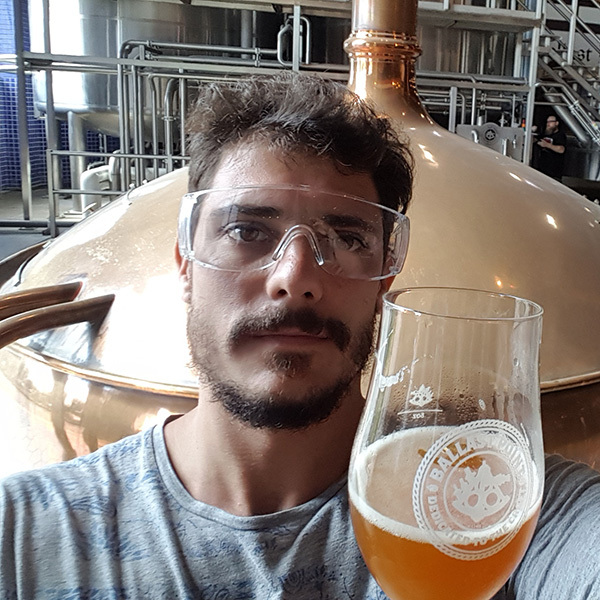 Winning the award for furthest distance traveled is Marcelo Roggio, a brewery owner in Córdoba, Argentina. 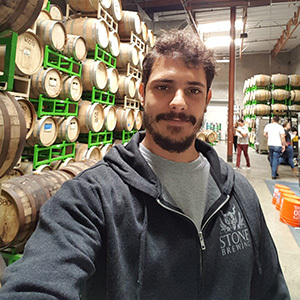 He traveled 5,626 miles to enhance his knowledge of craft beer. Learning how to disassemble, clean, and reassemble couplers and faucets in Michael Peacock’s Draught Systems class held at Cellar 3 Brewing. 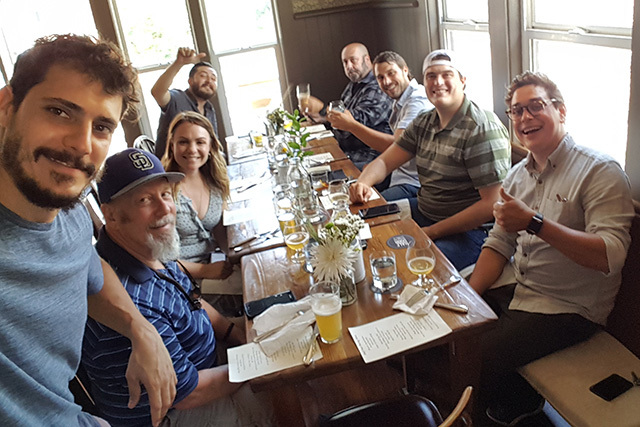 Launched in the summer of 2016, SDSU’s Craft Beer Education Camp gives craft beer aficionados around the world, the opportunity to experience a nine-day version of SDSU’s popular Business of Craft Beer program. 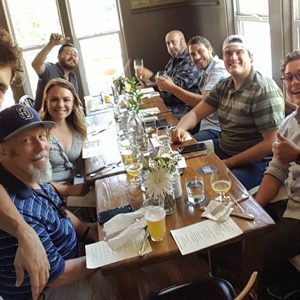 Students chose from Craft Beer Connoisseur Camp (intensive preparation for industry exams such as Cicerone® and BJCP) and Brewery Startup Camp (everything you need to know to launch a brewery). Each offers eight days of intensive instruction by local industry superstars such as “Dr.” Bill Sysak, George Thornton and Dave Adams; and one free day to explore San Diego. At Cellar 3 Brewing as part of Michael Peacock’s Draught Systems class. 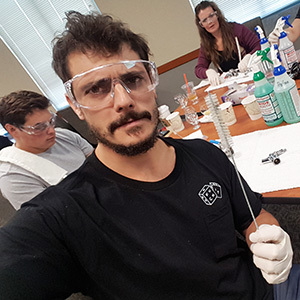 Roggio partook of Craft Beer Connoisseur Camp, and on his free day visited White Labs with several fellow campers. “It was a really interesting and fun day,” said Roggio. Located in Mira Mesa (on Candida Street, no less) White Labs makes fresh, pure liquid yeast for fermentation industries all over the world, from craft beer and wine to cider and kombucha.